Government 1310 scandal has been treated by some administrators as the unfortunate exception, an isolated incident whose case has now been closed. But as academic integrity dances uncertainly through a campus whose gates and walls are engraved with a motto of truth, Veritas is at stake. 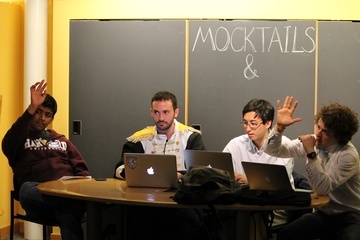 UPDATED: April 23, 2013, at 7:54 p.m.
On a Thursday night in the spring of 2012, students huddled in study groups in Lamont Café, racing against the clock to finish an assignment due the next day. Notes and textbooks were shared, suggestions passed back and forth. There were dozens of students there, or at least enough that voices echoed to amplify the buzz of discussion. The task’s guidelines for completion were hazy, and the fact that the course had many section leaders with varying expectations heightened the confusion. It was easy for members in the crowd to help each other out. For those who didn’t understand, didn’t have time, or just didn’t care, group work turned into copying. That summer, after Lamont had emptied out for the semester, the accusations came. The cheating was “unprecedented in anyone's living memory,” according to Dean of Undergraduate Education Jay M. Harris. But the students who had collaborated in Lamont that spring evening faced no accusations. They had not been enrolled in Government 1310. The students in Lamont, who were described by a fellow classmate, had been working on a problem set for Economics 10. It was Government 1310, though, that received national attention after Harris announced in August that the Administrative Board was investigating approximately 125 students for inappropriate collaboration on a take-home final in a spring course. The scandal was followed by months of discussion and closed-door deliberations, ending this February 1 with an announcement from Dean of the Faculty of Arts and Sciences Michael D. Smith that left the results hushed and inconclusive. Over half of the students were forced to withdraw; about half of the remaining cases resulted in disciplinary probation. Government 1310 has been treated by some administrators as the unfortunate exception, an isolated incident whose case has now been closed. But as academic integrity dances uncertainly through a campus whose gates and walls are engraved with a motto of truth, Veritas is at stake. The scandal speaks to a more systemic problem with the value Harvard places on its undergraduate education. The institution and the community condones, if not promotes, academic dishonesty, emphasizing prestige over intellectual growth. Academics are no longer the priority of the students or teachers at Harvard College. Days before the August announcement of the Government 1310 investigations, Brett Flehinger filled a newly created position, associate secretary of the Administrative Board, aimed at promoting awareness of policies surrounding the issue of academic integrity. His appointment seemed to signal an acknowledgement from the University that academic dishonesty is a widespread issue in need of address, and yet a reluctance to acknowledge a culture of cheating beyond Government 1310 persists. “I think to say that there is a particular culture here that causes [academic dishonesty]—I don’t even know how we would measure that culture in the first place, but even if we could—I don’t think that would be accurate,” Flehinger says, when asked whether there are underlying factors that promote academic dishonesty at the College. Flehinger’s statement casts Government 1310 as an example of the extreme: 125 students taking advantage of one class’s unclear collaboration policy. Liokumovich jokingly recalls “200 freshman in Lamont Café, trying to scramble to get stuff together” as they completed their problem sets. In an emailed statement to The Crimson, Professor N. Gregory Mankiw writes that students who do copy and are not caught will still suffer in the exams, as he believes that the problem sets are the best way to prepare. Conditions in Economics 10 mirrored those in Government 1310. “I wasn’t surprised,” says Darragh J. Nolan ’15, who took Government 1310 last spring, of learning that almost half of his classmates had been accused of plagiarism. Given the circumstances of the test, he explains, it would have been very easy to circulate the answers. According to Nolan, the class came with expectations of its own: In the first lecture, he explains, the instructor Matthew B. Platt “sold it as an easy class,” reading out comments from the last year’s Q Guide student evaluations and alluding to its apparent lack of difficulty. The course, whose final grade included no participation element and was composed entirely of scores from four take-home exams, became more difficult than originally anticipated, Nolan thinks, and so students bent the already flexible rules. Platt did not respond to a request for comment on this story. While Flehinger was the only senior Harvard official interviewed for this story, a Harvard spokesperson had not returned repeated requests for comment on the published story nearly two months after its publication. This prevalence of academic dishonesty is symptomatic of a pervading mentality on campus that neglects the classroom. Nicolaus Mills ’60, a literature professor at Sarah Lawrence College, points to a weak emphasis on undergraduate teaching as an underlying factor that enabled the scandal to take place on Harvard’s campus. “The [government] department certainly supervises [Platt’s] scholarship, but were they also interested in or even caring about his teaching?” Mills asks. As professors invest less time in the classroom—a product of pressures to establish themselves primarily as researchers—so too do teaching fellows and students. Mankiw admits that there is “inevitable heterogeneity” in TFs, even though they are trained and screened thoroughly. “If we moved to more large lectures and fewer sections, the Ec 10 experience would be more homogeneous but less personal,” he writes. 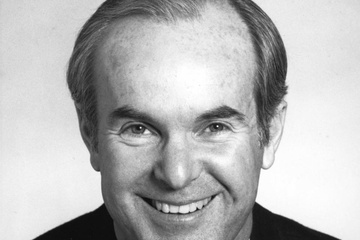 As Dean of the College from 1995 to 2003, Harry R. Lewis ’68 frequently spoke with deans of Harvard’s peer institutions about allegations of widespread cheating, noting a similar lack of trust between students and professors as a uniting characteristic of these cases. Lewis says that while changes in class procedures might help to reduce cases of academic dishonesty, he feels a larger conversation about teaching practice must occur among the Harvard faculty. “Any faculty member who doesn’t have the basic idea right that they’re actually supposed to teach in a way that their students are going to learn, and that that requires a certain kind of mutual trust and confidence—their teaching isn’t going to be improved just by the fact that they give one kind of exam rather than another kind of exam. You may cut down the number of cases of academic dishonesty, but what’s really important is to try to instill some sense of what the mission of teaching actually is,” Lewis says. Mills, too, echoes the thought that engaging faculty in a conversation about teaching proves challenging at Harvard, where attention to students and personal research projects compete for professors’ time. “At Harvard, one always worries that junior faculty receive the subliminal message that your future lies in your publications, and your students are your second issue,” he says. A certain gap between students and professors may always have existed within in the university. “I do remember in my day that to drop by a professor’s office, you either had to be in great trouble, or you had to have some brilliant idea,” Mills remembers. In the past, says Howard E. Gardner ’65, a different value was placed on professors. Presidents such as Lawrence H. Summers “didn’t just weigh people based on their peer review or their publications, but asked, ‘Would these people bring intellectual breadth to the school?’” Nowadays the University might place a greater focus on faculty members’ degrees and titles. Harvard still has professors who attract genuine student interest by appealing to broad audiences; Gardner names Michael Sandel, Steven Pinker, and Niall Ferguson. “But that’s not how they got tenure,” he says. Gardner, now a professor at the Harvard Graduate School of Education, thinks a different method pervaded when he was an undergraduate on campus: Houses in the Square were cheaper, campus felt smaller, and most professors—whose ranks he would one day join—lived scattered around Cambridge and closer to the the University. Nowadays, he says in comparison, “there’s much less of a community, both in the sense of one that is geographically close, but also in the sense that students and faculty want to spend time with each other.” Faculty tend to be more insular, more focused on their research, “more on airplanes to God knows where,” he says. Gardner calls himself a “lifer”—over 50 years into his scholarship at Harvard and a member of a dwindling group, including those such as Lewis—that maintains more than a transactional relationship with the University. Gardner sees a matching decline in students’ interest of the professorial life, or “the professorial persona.” Students now identify more with CEOs of corporations or hedge funds than they do with the figure lecturing behind the podium. As professors focus on their research, and students worry about securing career opportunities, both sides become increasingly disinterested in the classroom. “Nowadays there’s much less willingness on the part of the students to take courses or to have majors for which they don’t see the utilitarian application,” he says. Students take less time to explore intellectually, worried more about carving out a tangible path for their futures. Gardner cites the extensive recruitment for investment banking, management, and consulting firms as potentially adding fuel to the fire. This emphasis on what he calls a “one-way race to Wall Street, Silicon Valley, or Hollywood” comes with an “inordinate” worry about maintaining near-perfect grades—the only foreseeable path to weighty titles and even heavier paychecks. But he finds that many students will be happier “as social worker[s] at an inner city school,” for example, than they might be at Goldman Sachs or Morgan Stanley. Lewis points not to outside influences, but to the very framework of Harvard’s undergraduate degree. “I think we’ve got too much structure and not enough educational idealism and motivation. So students take the set of opportunities that we offer them as instructions about what we value,” he says. When an education holds less value than the prestige that follows, dishonesty can be more easily justified as a means to an end. Harvard becomes simply a pit-stop on the way. Along with these new definitions of success comes its reckless pursuit, by which, Gardner believes, students have become “hollow” in an ethical sense that plays out in an educational setting: They are not only more inclined to cheat, but are also more likely to see it as acceptable. He cites the example of Marilee Jones, former Dean of Admissions at MIT, who resigned in 2007 after admitting that she had lied on her own resume regarding her education. In a group of 15 students from another school to which Gardner spoke, none thought she should have been fired. Jones, they said, had been doing a good job—and everyone lies on their resume, after all. Former University President Summers, too, says values concerning academic integrity instilled in a college hold far-reaching effects on students. “I said often as president that a nation whose colleges tolerated cheating should not be surprised when leaders proved corruptible. Nor should it be surprising when inflated grades are followed after a generation by inflated profit reports,” Summers writes in an email. They ought to be bringing those [who live these values] to campus and giving them honors and attention, even if they can’t put their name in the building,” or on it, Gardner believes. But all members of Harvard’s community must do more to show these principles. Gardner cites his “dozen-year-old” Volkswagen beetle and the letters from scholars and friends that decorate the walls in his office, instead of diplomas or trophies, as examples of his attempt to do so. In response to these problems, those within and outside the College have suggested introducing an honor code, to promote the type of collaboration that depends not on following the path to an easy A, but instead on a campus that commits itself to a high standard of academic integrity. “The old adage your mother probably told you, ‘When you cheat you’re only cheating yourself’—that isn’t necessarily true in this type of environment,” says Aine Donovan, director of the Ethics Institute at Dartmouth College. Cheating in an academic community disrupts all of campus, she says: Scores lose meaning, evaluations crumble, standards dissolve. Donovan sees value in an honor code that holds students equally accountable for maintaining academic integrity on campus, an honor code that can be “woven into every fabric of the student experience,” as she describes Dartmouth’s. Donovan explains that Dartmouth’s code encourages students to talk directly to one another instead of immediately reporting all suspicions directly to a dean. But more importantly, the rationale behind the applications and consequences of an honor code must be lived by all on campus. “It’s a complicated process that’s not just about smacking people on the hand; it’s about really understanding, ‘Why do we have these rules? Why are they important?’” Donovan says. Like Donovan, Hyman of Princeton stresses that students have a twofold responsibility both to refrain from cheating and to report students they suspect have done so. Princeton’s honor committee was established in 1893 after students approached the administration demanding its creation: The university had gained a reputation for being easy and of low standards, Hyman says. “The Princeton degree was becoming somewhat of a joke." The Undergraduate Honor Committee has since been entirely student-run, handling all violations of the honor system that involve all written examinations that occur in the classroom. Hyman says around half of the reports that she receives are directly from students themselves. “If you have no students that are reporting, that means your standards aren’t aligned with the student body,” Hyman says. What concerns her most about Harvard’s case is that to her knowledge not one student had spoken up to report it. Gardner, too, says he wants to hear more about the students who did not cheat in Government 1310, the side of Harvard’s scandal that was not publicly discussed. “Did any of them even attempt to blow the whistle?” he asks. The roughly 30-member committee was established in the fall of 2010 and includes about eight student members. In recent months, the group has been working to provide suggestions in response to the scandal that will refocus conversations around integrity on campus. After students in Computer Science 50 had turned in their final problem set this fall, Rob T. Bowden ’13 gathered the suspicious cases—students who had already been noted for handing in problem sets similar to others’—to turn over to instructor David Malan, who sent the cases in which he sensed a “smoking gun” to the Ad Board for further investigation. In past years, CS50 has sent around two percent of its students to the Ad Board; in the fall of 2011 class of 607 students, that amounts to about 12 classmates in total. “I think we’ve always been by far the biggest Ad-Boarder,” Bowden says—except for Government 1310, he says on second thought. But the number of cases CS50 sends to the Ad Board is a result of the class structure that approaches academic integrity with its only antidote: honesty. CS50 had one of the highest enrollments at the College with 714 students this fall, and a staff of 110 that ran almost 70 sections a week. But the number of cases sent to the Ad Board fell to around one percent of the total class, even as course enrollment grew. Bowden says he is convinced that the numbers are falling, despite an often “poorly-defined line” on what constitutes cheating on the internet, because of the course’s explicit expectations. Students may speak in English about their work, but not in code, and this year the teaching staff openly discussed the algorithm that detects cheating in class. For Gardner, reactions to this year’s examination of academic integrity, like eliminating take-home exams, are simply “bandaids.” On this campus, the problems are rooted much deeper below the surface, in the devaluing of the academic experience itself. 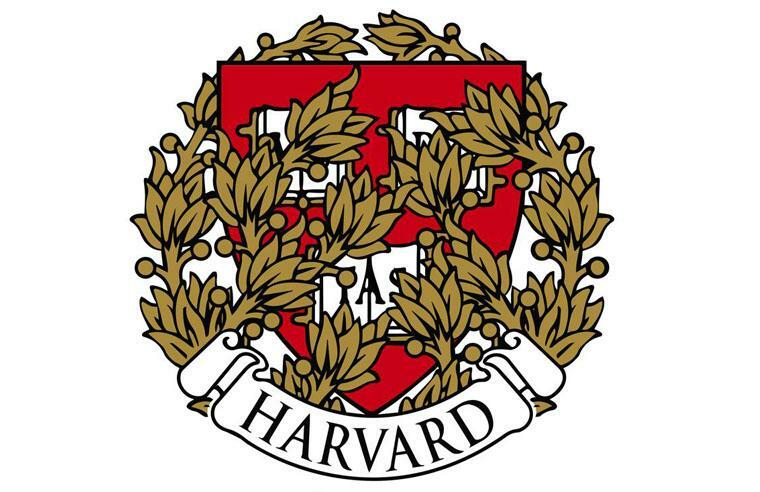 If the public announcement of the Government 1310 investigation was intended to turn the scandal into a “teaching opportunity,” as Harris wrote in his initial August announcement, Harvard must honestly examine whether its reputation as a leader in academics can be supported by structures that perpetuate academic dishonesty. Due to an editing error, an earlier version of this article misquoted professor and former Dean of the College Harry R. Lewis ’68, who in fact described a “modal,” not “model,” Harvard student as one who treates a course with the same degree of seriousness as he or she perceives the professor to be treating it. The article also incorrectly quoted Antonia Hyman, chair of Princeton’s Honor Committee, as saying that she believes the absence of student reports about cheating indicate that honesty standards “are aligned with the student body.” In fact, Hyman described conditions under which she perceives that standards “aren’t aligned” with the student perspective.